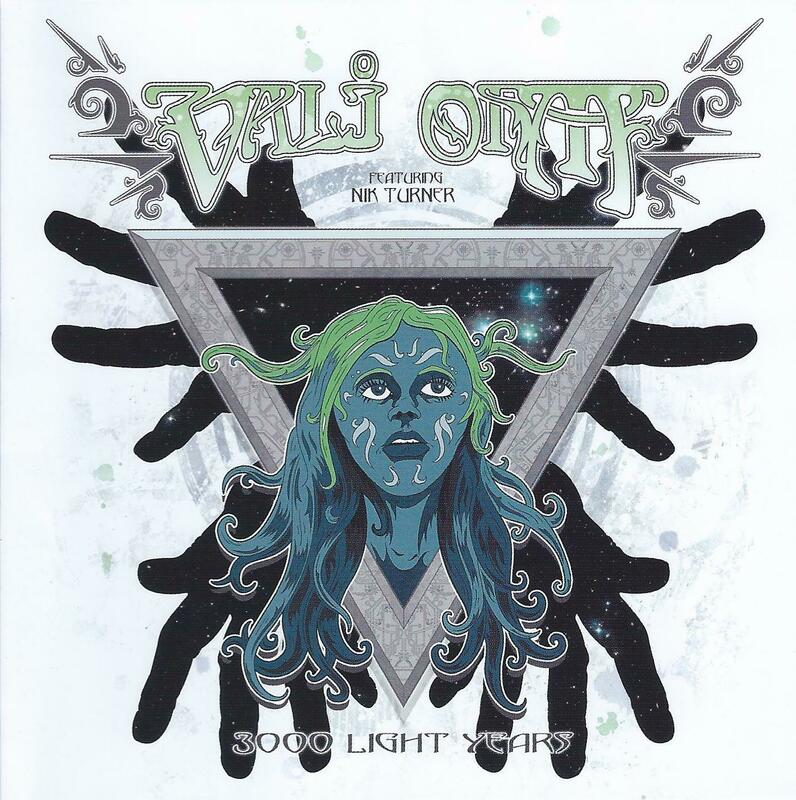 Vali Ohm is the work of super-Hawkfan Danny Jackson, who has written the bulk of 3000 Light Years, supplied most of the vocals and played most of the instruments. Amongst the guest musicians is one Nik Turner, who even gets his own “featuring …” name check on the cover, perhaps rather cheekily, as he only appears on one track. The opportunity to record with the legendary former Hawk must have been like a dream come true for Jackson, who goes on to list his other inspirations as Ozric Tentacles and Frank Zappa, as well as ’70’s rock titans Bowie, The Who, Led Zeppelin and Pink Floyd. The album artwork looks pretty good, and the names of the tracks – Space Machine, Interstellar City and the title track – tick all the right boxes, but unfortunately the music itself never really manages to deliver. Opener Jazz Up the Spacerock fails to ignite and Club Outer Stratosphere is unlikely to get many people on the floor with tinny sound and thin vocals exhorting everybody to move and get in the groove at the titular nightclub. Having said that, 3000 Light Years does have its bright moments, most significantly on the title track, which features the much-anticipated spoken word vocal of Nik, and sounds a little like the stuff he was doing on the Space Ritual Otherworld album, as well as some nice acoustic guitar playing in the introduction, and a competent guitar solo. Jackson’s guitar playing also gets a chance to shine on album closer Home, and to a lesser extent on Space Machine. Perhaps one of the biggest hurdles for Vali Ohm is the lack of any kind of driving rhythm – there is very little bass in evidence, and the drum machines sound tired and thin. Jackson’s main strength appears to be at the keyboard, and early 1970’s Hawkwind synthesizer swoops abound throughout the album, particularly on Interstellar City. The brief, ambient track The Encounter works better than most, and Life Force 1 opens in similar style, before breaking into a jammy section that conjures up images of Secret Saucer playing a cover of Tim Blake’s Lighthouse. As a homemade labour of love, 3000 Light Years is indeed light years ahead of anything I could manage to put together, but suffers from a lack of substance and perhaps collaboration. Were Danny Jackson to lend his guitar and keyboard skills to a live rhythm section and more powerful vocalist, he would likely come up with something to match his spacerock aspirations. Vali Ohm’s website, from which the album can be purchased is http://www.valiohm.com. A clip of the Turner collaborative track, which features excellent graphics, can be found on the site.